He’s not a doctor – but he’s played one on TV. He has also played a senator, a playwright, a physicist, an industrialist and president of the United States. 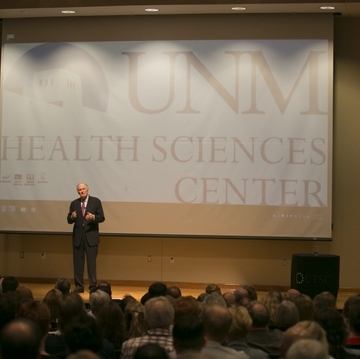 Alan Alda, a man of many parts, paid a visit to Albuquerque earlier this week to announce a collaboration between the UNM Health Sciences Center's Clinical and Translational Science Center and an innovative program he founded to teach scientists how to do a better job of communicating their work to a lay audience. 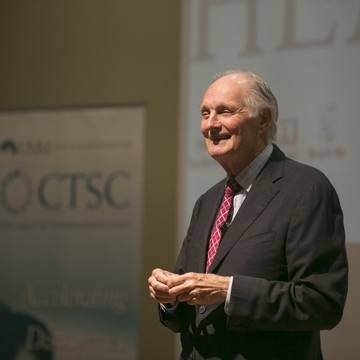 Alda, known to millions for his roles on M*A*S*H, The West Wing and E.R., founded the Alan Alda Center for Communicating Science at Stony Brook University in New York in 2009 after spending 15 seasons hosting Scientific American Frontiers on PBS. 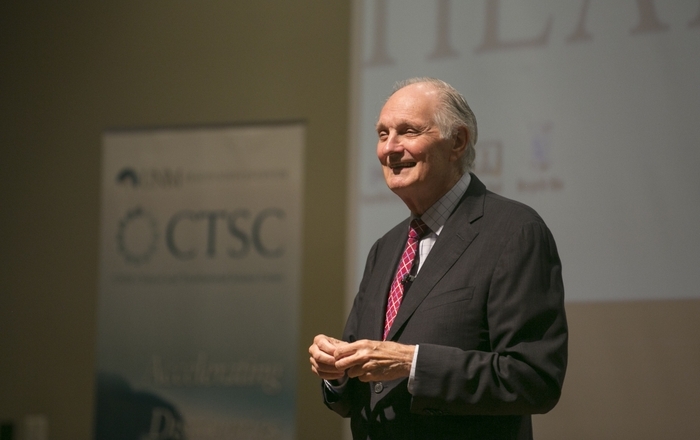 At a public talk before an overflow audience on campus, Alda told how he brought a layperson’s curiosity to his interviews with scientists in settings around the world. “I didn’t have any set questions,” he said. “I just wanted to understand what their work was like.” He would keep questioning until they could explain their work in simple terms that he (and his audience) could comprehend. “The real ‘them’ came out, because they were talking to a real person,” Alda said. Alda reminded his listeners of the qualities that attract and hold others’ attention, including the use of body language, the tone of voice and word choice. In communicating their research, scientists need to pay close attention to whether others are following what they’re saying. “The ability to read another person is the door to commitment,” he said. Alda Center trainers use a variety of techniques, including improvisational theater exercises, to help scientists learn to listen intently, read verbal and nonverbal cues and respond to others with greater empathy. Richard S. Larson, MD, PhD, the Health Sciences Center’s executive vice chancellor, hailed Alda in his introductory remarks for his vision in seeking to bridge the widening gulf between scientists and everyone else. 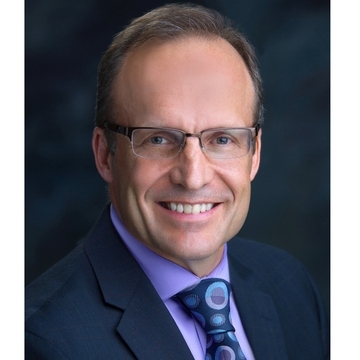 “He recognizes the central role science plays in a complex society that is increasingly reliant on technology – and that has benefited from the tremendous advances made in the biosciences,” Larson said. “He knows that it is impossible to have a meaningful conversation about many of the challenges we face as a society without being conversant with scientific principles. 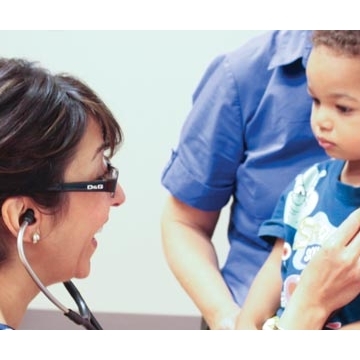 UNM is the first university in the nation with a Clinical and Translational Science Award from the National Institutes of Health to partner with the Alda Center. Going forward, faculty members in UNM’s Clinical & Translational Science Center are learning to teach effective communication skills themselves. They will help spread these techniques to other universities in the CTSA network. These prestigious awards aim to rapidly move research from bench to bedside, giving patients access to new therapies as quickly as possible.